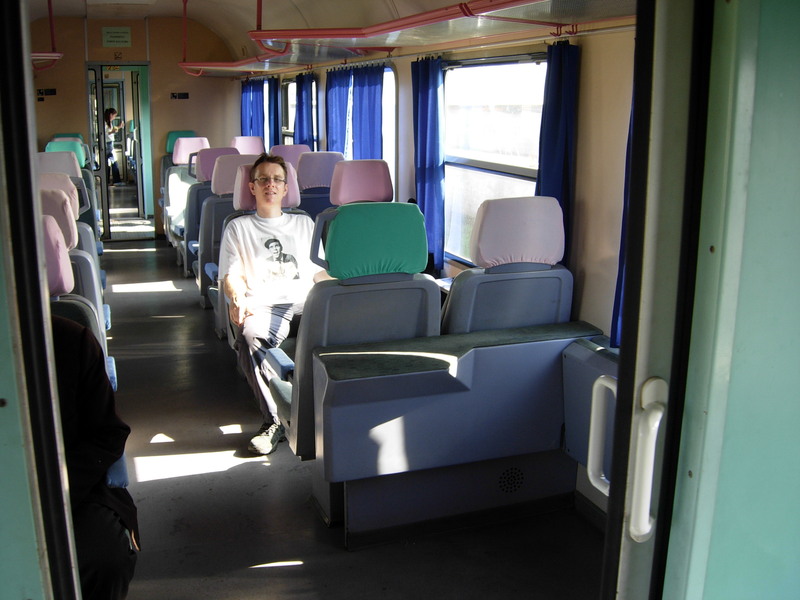 I visited Albania in the Autumn of 2007 and undertook two train journeys, one a return from the capital Tirana east to the Adriatic coastal city of Durres and the second northwards to the lakeside city of Shkodra en route to Montenegro. My regular train travel pal Hamish & I therefore turned up for our first sojourn to the Albanian coast in hope rather than certainty, despite the fact that we had been to the station the previous day to confirm that trains would indeed be running. Thankfully they were. We arrived in good time at Tirana’s main (only) station. The tired and scruffy station building was home to pot-holed platforms that were filled with rainwater. Rubbish was strewn about the place and there were piles of rubble and rusted metal dumped on unused tracks that were overgrown with grass and weeds. The wire fences were also rusted and the whole place had a derelict air to it. The train was not much better. 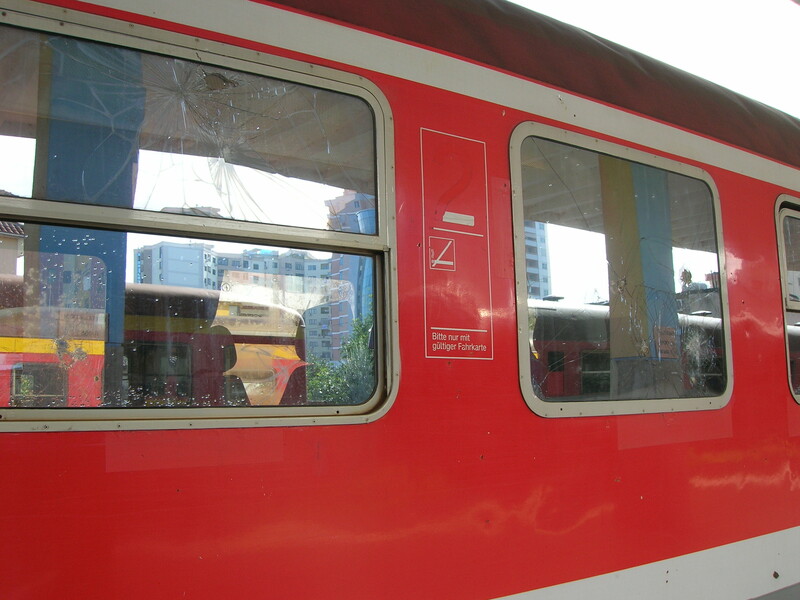 Every window was cracked, we later learned due to kids throwing rocks as the train passed. The locomotive itself was a monster green diesel, which started belching out fumes as soon as it was fired up. 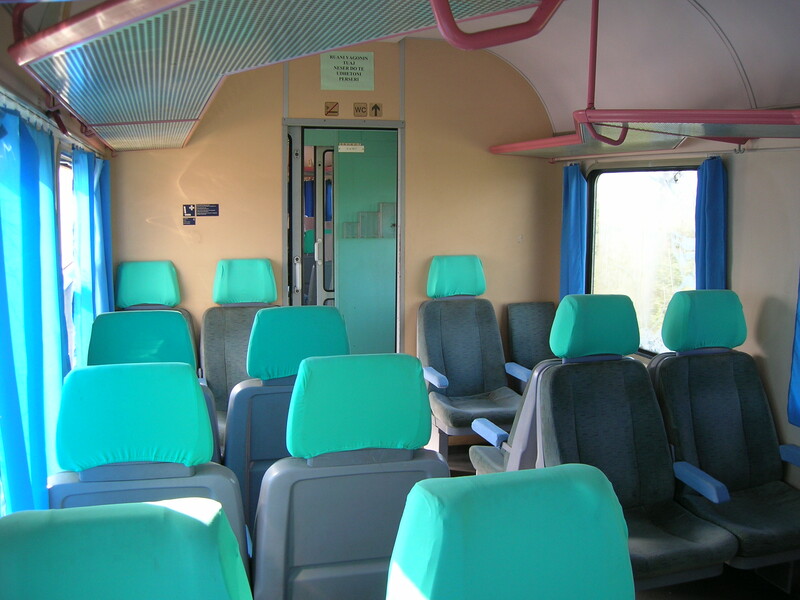 We found some spare rock hard plastic seats inside a spartan carriage and settled down for the SLOW ride to Albania’s second city. The huge Czech-built ČKD diesel-electric locomotive pulled us, but evidently its size did not equate to power as we crawled along at 30 KMH. No wonder the kids were so accurate with their projectiles! To put this into perspective, the famous Stephenson’s Rocket built in 1829 reached a top speed of just over 45 KMH! OK so it wasn’t pulling four carriages, but still! This may seem sedentary, but imagine when the railway first arrived as late as 1947. Albanians, used to travelling by horse and cart, would have been amazed. The 36 kilometre journey took us just over an hour, about the time it would have taken a slightly above average cyclist on the relatively flat terrain. At least it gave us a good opportunity to see plenty of the mushroom like bunkers that were dotted all over Albania like some sort of concrete rash. Convinced that his country was going to be invaded, the dictatorial Enver Hoxha, who governed the country with an iron fist for 41 years, ordered a bizarre building project that saw around seven hundred thousand concrete and metal bunkers constructed as a method of national defence, the idea being that civilians would arm themselves with rifles, crossbows, sticks & stones and bravely defend the Albanian nation from attack. Apparently Hoxha asked the chief engineer of the prototype construction whether the bunker would be able to withstand a tank attack. When he replied with certainty that it would, the engineer was then ordered into the bunker and promptly had it attacked with a tank. Thankfully for the engineer he was proved correct. The foreign invasion never came, and after the fall of the Communist regime the bunkers lost their military use. They were now used for many purposes such as living quarters, animal shelters, cafés and store rooms. Thousands survive from the mountains to vineyards to beaches, many of which have been painted in vivid colours to brighten up the original grey bland concrete. The hour-long journey had seen me strike up proper conversation with an Albanian for the first time. He ‘recognised’ my Norman Wisdom t-shirt. “Aah, Benny Hill, very funny,” he knowingly asserted. I explained that although Benny Hill was indeed very funny, that the image I displayed was of a different comic genius. He had never heard of Norman or Mr Grimshaw. A myth crushed perhaps? The man was in his seventies and spoke good English. He had only learned the language post the oppressive Hoxha regime petering out a few years after his death in 1985, from reading children’s English learning books and listening to the BBC on his wireless. Prior to that even owning a radio was a crime that would have led to years of hard labour as a minimum. He was now on to French, again with a children’s book, which he was reading on the journey whilst writing notes in an exercise book. The rest of the journey turned into a French vocabulary test, my schoolboy French losing out to his pensioner version, much to his delight. 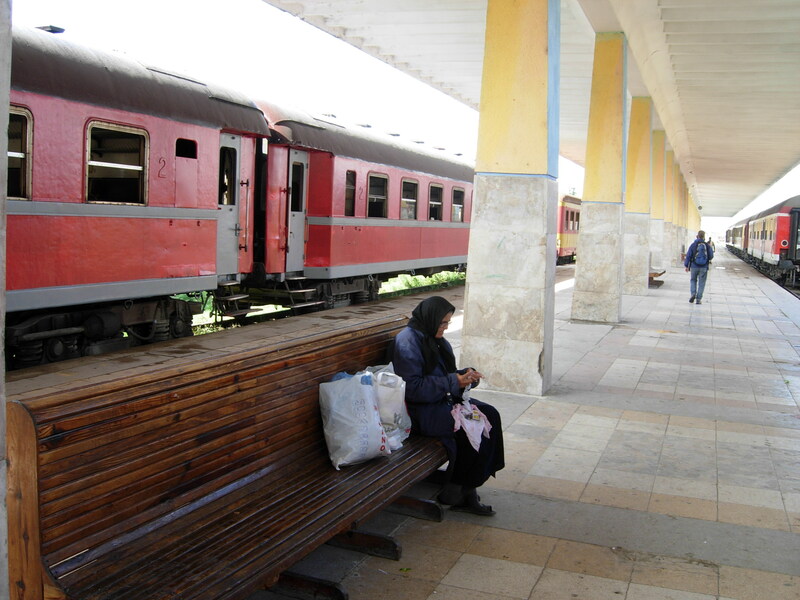 We eventually crawled into Durrës Central, a small station with two operational platforms. Happily the local kids had decided against target practice that day, so we had not had to duck any flying debris. I bade farewell to ‘Old John’ (or Ancient Jean as he now liked to be called) and we headed to the beach area. We tried to imagine the place thronging with tourists, something hard to picture on this cold October day. 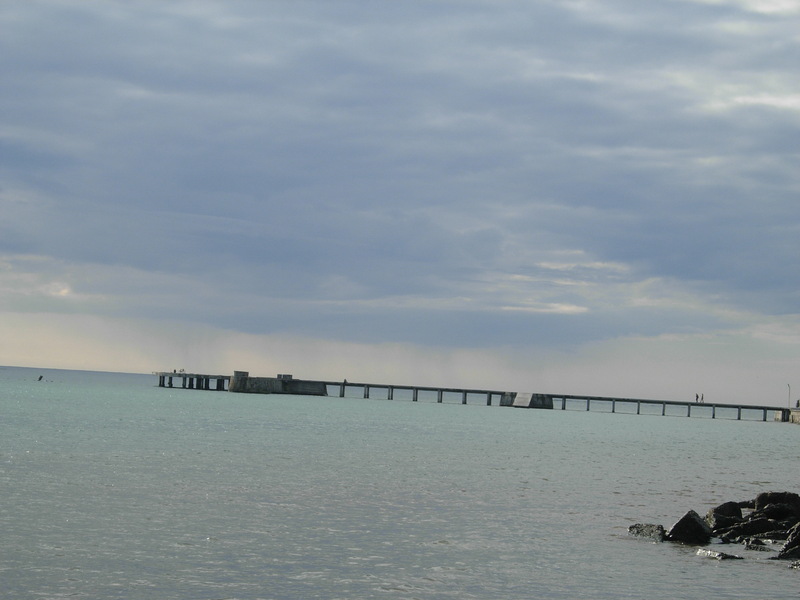 The sea and sky were grey whilst the beach was shingle, bordered by a wide expanse of grey concrete. Only the odd palm tree interrupted the barren scene. This was very much like winter in Sidmouth – not very inspiring. Mind you, that could be said of Sidmouth any time of the year and certainly appeared also true of Durrës. 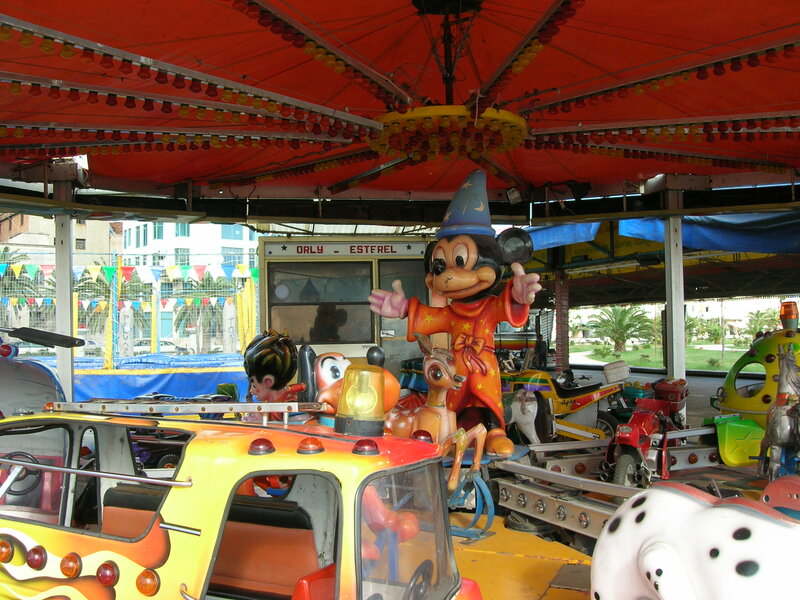 A kiddie’s merry-go-round was being covered up; the meagre fun had been sucked away for the season. Uninspired by Durres, we soon ventured back, happily avoiding juvenile target practice again. This trip had definitely been about the journey and not the destination. Just as well really! 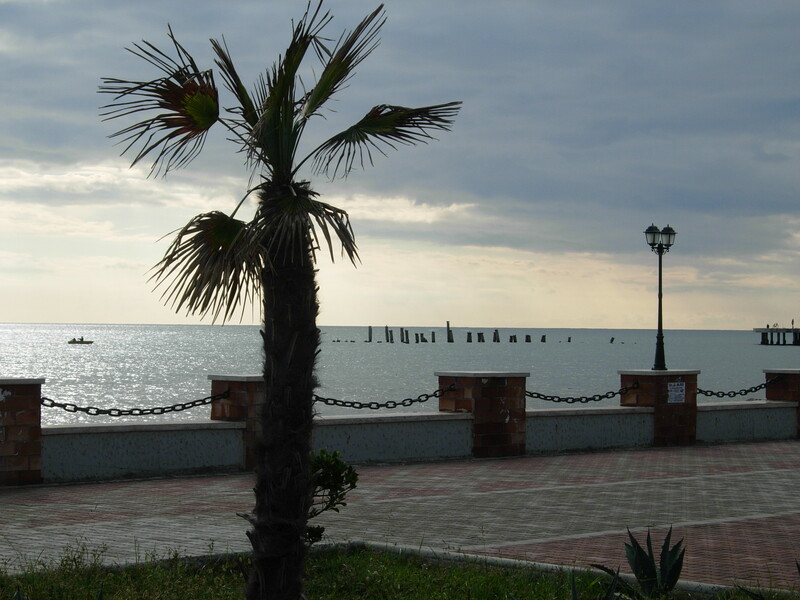 Amazingly as we yomped back to get our slow train to Tirana, it started to brighten up a little – maybe Durres wasn’t quite so bad after all? At the end of our Albania adventure we took the train once more for the 98 KM journey north, close to the border with Montenegro, then only recently independent from Serbia. At three and a half hours, we positively whizzed along at an average 46.7 KMH! The train was pretty similar to the one we caught previously, although this was clearly an express version. We planned to stay one night in Shkodra, a small city near Albania’s biggest lake. The place turned out to be pretty boring, just a stop off on our journey. The castle on the outskirts of town was quite impressive (we viewed it from the road on the way out) and the interior of the mosque was nice and colourful, but that was about your lot. I am undoubtedly being unfair. If we had been into hiking or bird watching, this would have been the perfect base to explore the area. The surrounding area did sound very pleasant with the lakes and the Albanian Alps, but we had no time to explore there. 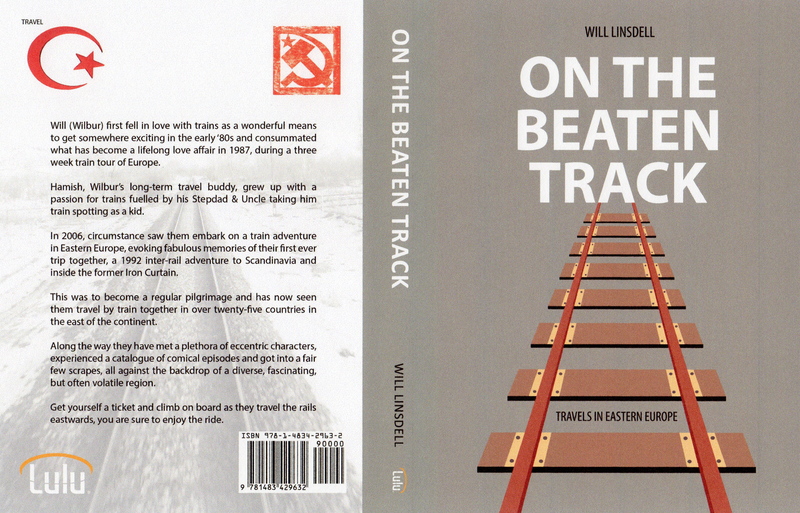 You can read about all of my rail adventures in Albania and 25 other Eastern European countries in my book On The Beaten Track – Travels In Eastern Europe. 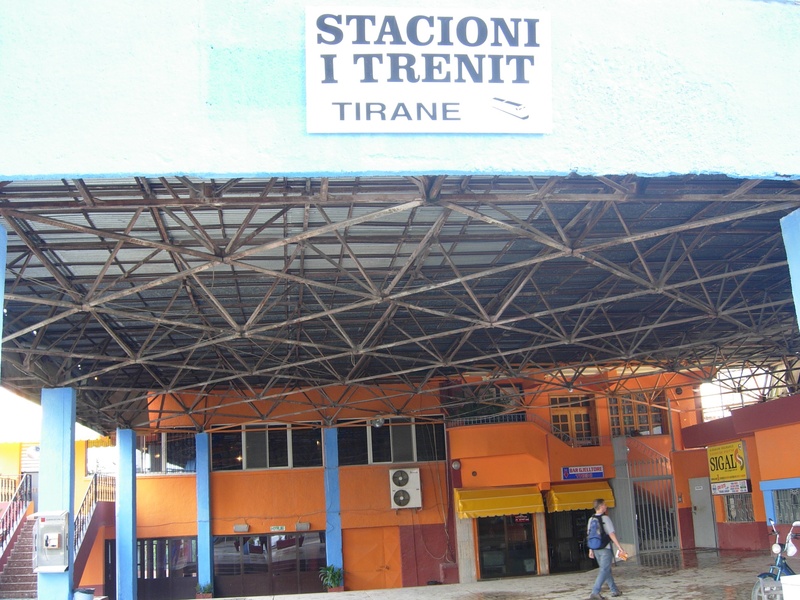 Since late 2013 Tirana train station was closed for passenger and freight transport, it was demolished to make room for a new boulevard that will lead over the station area to the north. 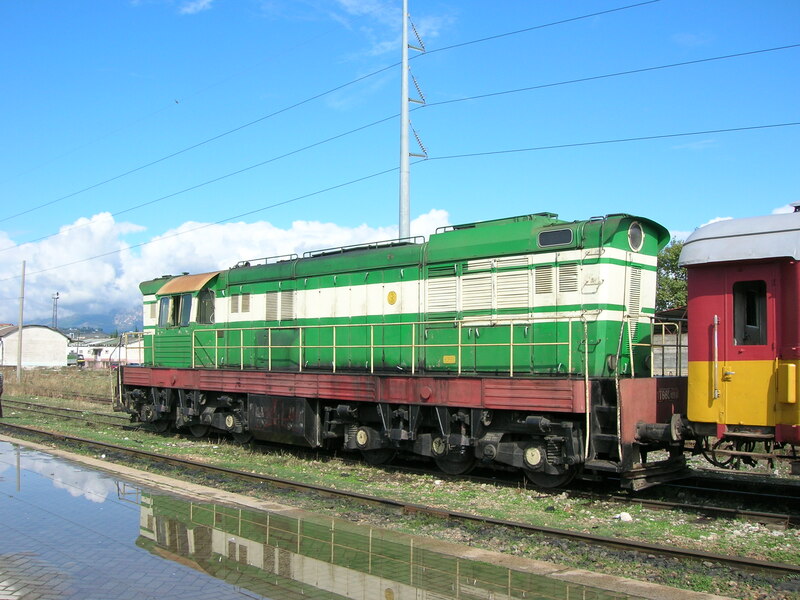 In the north-western district of Tirana Laprake a new station will be built, which is planned as a multi-functional terminal for railway, tram and bus. 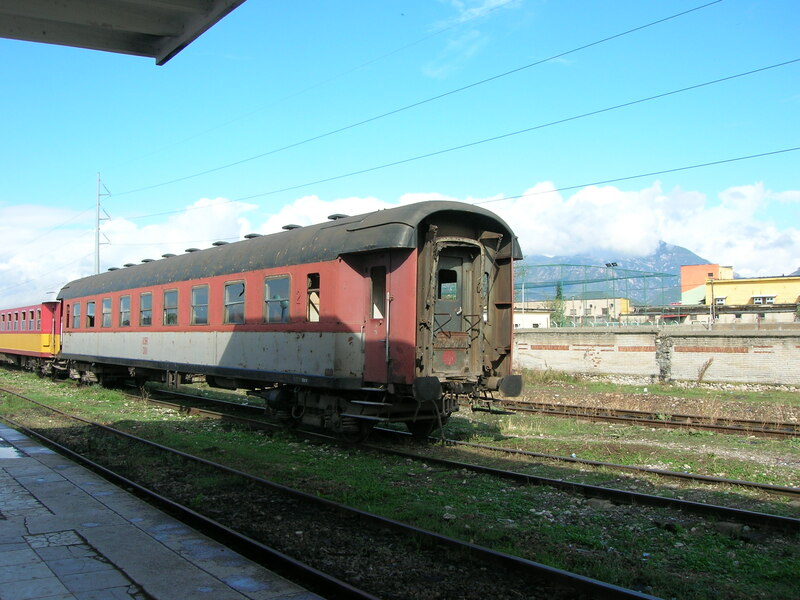 Until then railway transport on leg between Tirana and Kashar remains closed, but Kashar station is basically located in the north-western outskirts of Tirana (< 10km to Tirana city centre), thus these days Albanian trains terminate there. 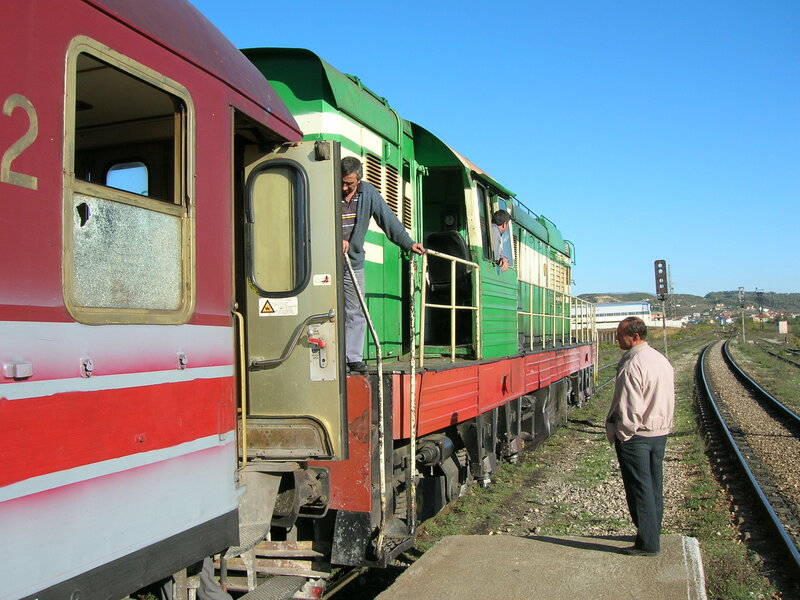 See their website for details if you would like to take some train trips in Albania. I did a bit more digging on the web and it seems there is no sign of the new station opening anytime soon! I traceled in Albania by bus and mini-bus and one private car. Can’t say I regret not trying the train! I am back there in September and will be very interested to see if it is the same. I am looking forward to reading your HK posts. Oh that’ll be really interesting. Thanks…got a fair bit of material. Was a great experience. Like the new blog by the way! Thanks – trying to get a niche. A quick question – do you know if it is possible to follow the new blog separately if you already follow Wilbur’s Travels? I can’t seem to, coming up at Wilbur’s travel. Maybe if you create a new WordPress ID. Albania was great overall. Tirana and Berati were well worth a visit. There must be some doubt about the reopening. Makes it more of a throwback adventure though! I am there again in September so will be interested to se whether anything has changed. It was fun! I have a second blog now. Could you check if you are able to follow ontrack.blog separately? I am trying to find out if this is possible. This site is dedicated to all things train travel and will feature different posts to wilburs travels. I think trains evoke the feeling of a bygone age of Thomas cook and Filius Fogg! So true! I live in Surrey so know only too well sadly. Trains are fun. This one sounds less fun, but how cool to get to know a local along the way. Rather shocking that the kids throw rocks at the trains and a shame to see the decay is setting in. Very interesting to see what railways are doing in other countries so thank you. Finally I have to stand up for Sidmouth as I think it’s a lovely place – always clean and tidy! It’s a traditional seaside town and not much has changed over the years but locals like it that way. It’s also a whole different place during folk week. My Sidmouth comment was tongue in cheek – I grew up in Honiton and schooled in Ottery so always enjoyed banter with my Sidmouth mates. Ah I see – you were envious of them because they lived in sidmouth!! That looks fascinating. 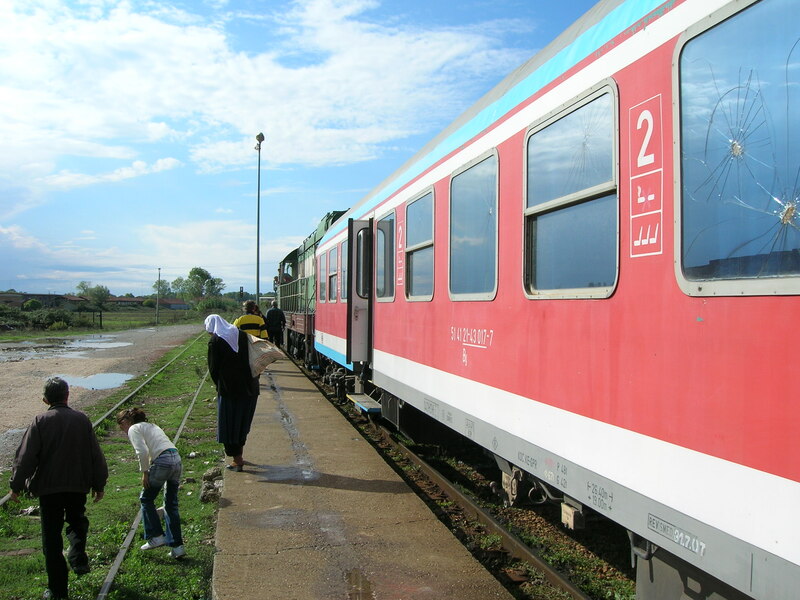 I have a friend who is trying to organise a group trip to look at some of the backwaters of Albania’s railways next year, and I’m thinking of going along – I did Kosovo in 2015 which was an experience in itself! I think this blog may have swayed me to have a look at Albania – thanks! I am going to Kosovo in September travelling up through Albania. 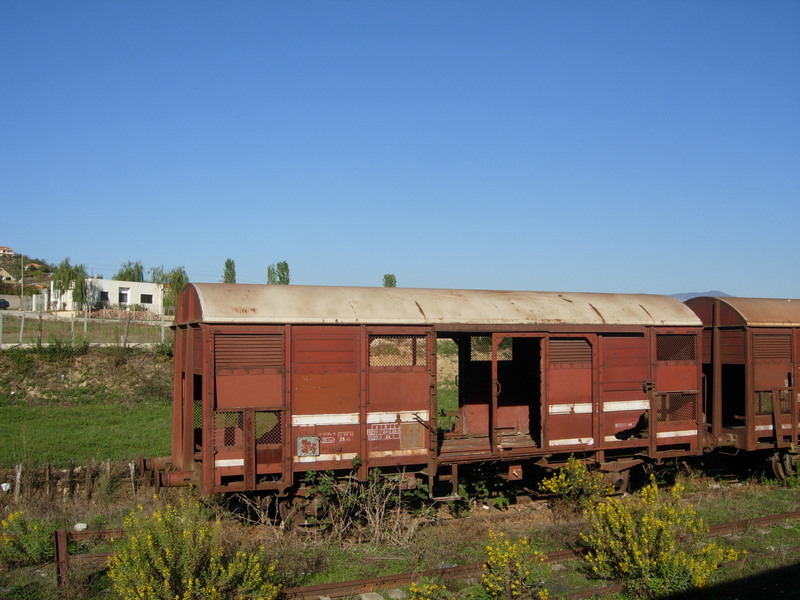 Train in Kosovo may be limited to Pristina to Skopje. Any Kosovo tips? 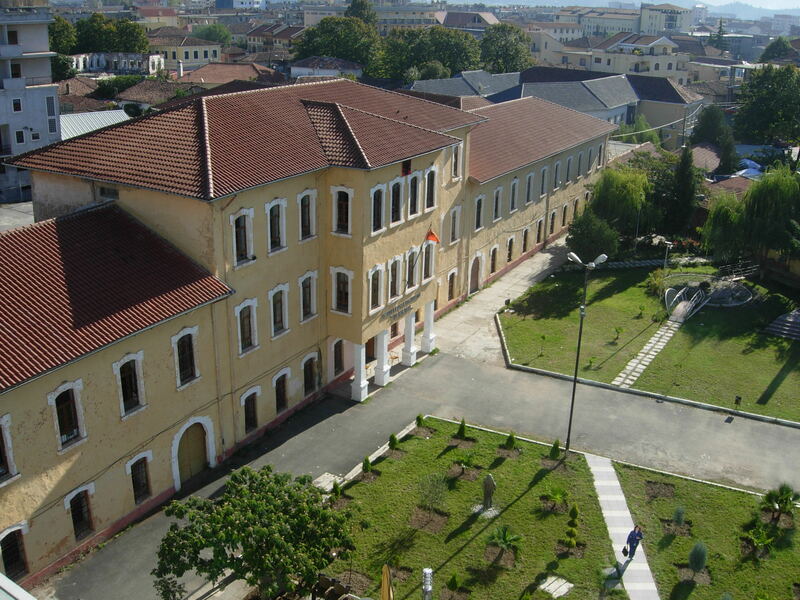 Hello, i am from Albania. Glad that you visited my country 🙂 It is a pity to say that the trains will not work and actually nobody uses it. We will be back in September for another go!